We're all just going to agree to forget that I failed to document August & September portraits, okay? Life was a tad overwhelming these past few months, which meant sitting down to take a decent picture of myself was pretty much the last thing on my mind. And, if I'm being totally forthright, this one technically isn't a self-portrait either. It was snapped by my 5-year-old "client" at the very end of our photo session in Central Park last week. 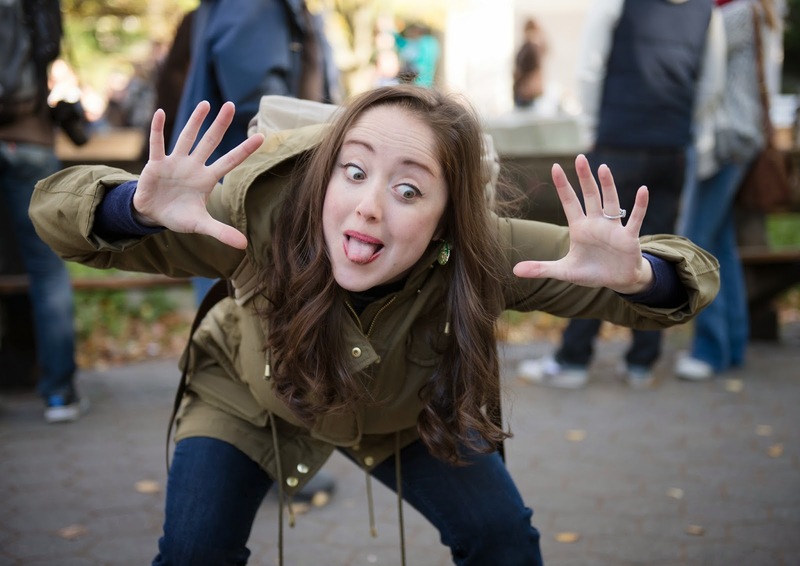 He asked to take a picture of me, so I made one of my goofy weirdo faces that I constantly make while photographing kiddos in order to draw out natural smiles. He nailed the composition, don't you think? 1). You were all so kind and supportive in your responses to this post. I don't really know what else to say besides 'thank you.' Your love and positive vibes are greatly appreciated. 2). Speaking of positivity, let's take a second to applaud a few delicious things I'm still allowed to eat while following ridiculous diet restrictions (because being gluten AND dairy free--while necessary right now--is most definitely ridiculous): french fries, tacos with guacamole, pad thai, roast chicken, eggs and bacon, fresh mango, macarons, falafel with hummus, pickles, potato chips, popcorn...hooray! 3). I just splurged and purchased this bag from Madewell. Best decision ever. I love it and let me tell you, it fits everything plus the kitchen sink. 4). Anyone have tips on how to convince my husband that "operation: adopt a cat" is a totally necessary and a wonderful idea? "Operation: adopt a dog" will happen as soon as we move, hopefully this coming spring (our condo doesn't allow dogs, jeez), but in the meantime, I'd really love a cuddly kitten. However, Tiho is of the opinion that all cats are evil AND claims to be allergic. I'm very skeptical. 5). Let's discuss Halloween costumes, please. We're invited to a costume party this year on Halloween night, and while I'm tempted to order the mustard or m&m costume off amazon, I'll willingly entertain other ideas. Note of importance: I would really like to wear a cape. 5). I already shared this on facebook, but it needs to be shared here as well: this NY Times article sums up my philosophy of education perfectly. Teaching Pre-K is such a privilege. That's all I have for you today. I just wrote this post instead of chipping away at the editing pile, so now I need to go pour myself a cup of something caffeinated and get down to business (pun intended!). 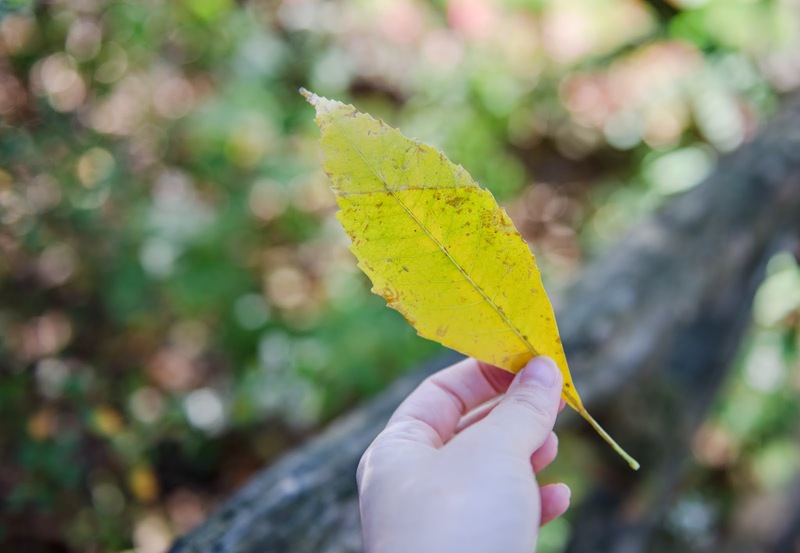 Here's a pretty yellow leaf, just because. Your list of things you CAN eat makes me so happy. I'm gluten free too (...though not dairy free, I'm not supposed to eat much, and only certain kinds) so focusing on what I am allowed to consume is really the best way to go. Best decision I ever made in my life! Most cats, especially the rescues, are not really evil. They have adapted pretty well in order to get liked and adopted. My cat responds to whistling and hand gestures and brings back a "toy" like a dog! I never wanted a kitten though....wanted to give an older soul a second chance because they are often harder to adopt. My ex was a bit allergic at the beginning...He'd sneeze a lot...but he loved the cat so much that he just kept hugging and playing with him until he overcame his allergy (took about a month). I hear this happens often too. My 2 cents on cats :-) In short: go to a shelter, play with the cats and the right one will pick you. Maya, the plan is set in motion. fingers crossed! The article on pre-k was great. I took a class on play-based curriculum a few years ago and was amazed to learn just how much play actually teaches kids everything they need to know. Love this photo, and those faces are indeed very helpful when photographing children! Hooray for macarons as gluten free treats...WOOT. I'm a cat person so I'm all for your kitten idea!